Custom peanuts will ensure high visibility to your brand and business message at ridiculously low prices! Ideal to promote restaurants, snack bars and hotels, personalized peanuts will make your brand highly popular considering the appeal that it enjoys among snacks. ProImprint has a range of custom logo peanuts on offer including peanuts with shell, chocolate dipped and salted nuts among others. Shop today at ProImprint and avail the lowest price match guarantee, FREE set up and artwork assistance on every order, discounts on bulk purchases, rush orders, quick shipping and much more! 100% customer satisfaction guaranteed! Hurry! 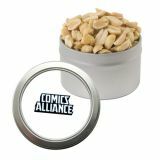 Custom logo peanuts will make a great promotional giveaway at movie theaters, outdoor promotional campaigns and conventions. People like to snack periodically all day, which in turn will put your brand in their memory! 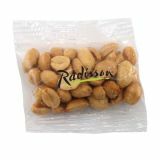 Logo nuts hold great promotional power in terms of popularity as people can never resist these and your logo will enjoy a high visibility when they savor these crispy nuts. Tasty treats have found to enjoy a high retention rate among customers and this will make yet another reason for you to dole out personalized peanuts in your forthcoming event. 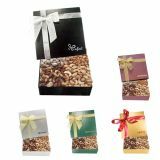 Our promotional logo peanuts tins and pouches ensure sumptuous treats that your customers will enjoy for sure. Print your logo on the packets to make your brand noticeable. Fresh and delicious, people love to munch upon these nuts everywhere, every time. Be it in the gym, on the beach or at the picnics, people will carry their logo peanuts along and grab instant attention. 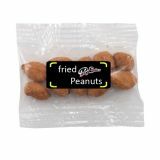 Personalized peanuts can be considered for kids’ birthday parties, corporate picnics and the like as well. 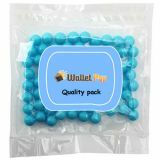 ProImprint has a range of promotional peanuts in a range of flavors and packaging options to match your promotional needs and brand identity. Treat your customers to a yummy branding campaign with custom peanuts and make your logo a house hold name! Available in individual portions, these make an ideal sized individual snack during trade shows and promotional campaigns. 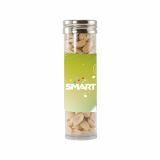 Healthy and calorie packed, peanuts have always enjoyed the patronage among people of all age groups and dietary habits, which will make another reason for you to give away these natural snack items on your branding campaign. Put your logo, text or artwork on these and let your potential customers notice your brand as they relish this tasty and crunchy handout. 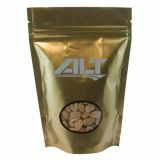 Shop for custom logo peanuts to connect to your customers and leave a trail of taste in their minds. ProImprint has an array of choices in custom peanuts, which you can opt for. Is the sheer multitude of options at ProImprint leaving you a bit hazy? Feel free to call us at 844-776-4677 or email us at info@proimprint.com for selection tips and assistance and we love to be by your side.